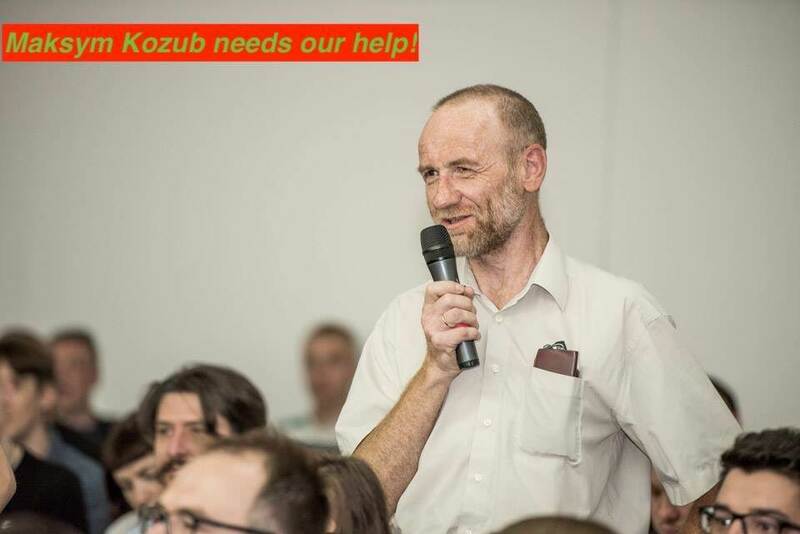 URGENT: Maksym Kozub Needs Our Help! P.S. : Unfortunately this is not a scam. If you need any additional information you can get in touch with Joseph Kovalov who's coordinating the effort to raise money and in touch with Maksym's wife. Thank you Erik Hansson for bringing this to my attention! Please, keep Maksym and his family in your prayers tonight. P.P.S: If you know any good lawyers or someone in Norway who can help, feel free to share your suggestions too. Maksym's family is currently exploring all the possible option to make Maksym gets the treatment he needs. UPDATE: Maksym is conscious from time to time, but he is still waiting for the surgery. Ugh, we're such fragile beings. I'm trying to follow the facebook group, but I can't decipher most of it. Is he still in need of legal support too? I don't know any lawyer directly, but there's always friends of friends and all that. MaV From what I understand they're currently in contact with Ukrainian Ambassador who's handling the situation. Just click See More and you should see the translation into English.